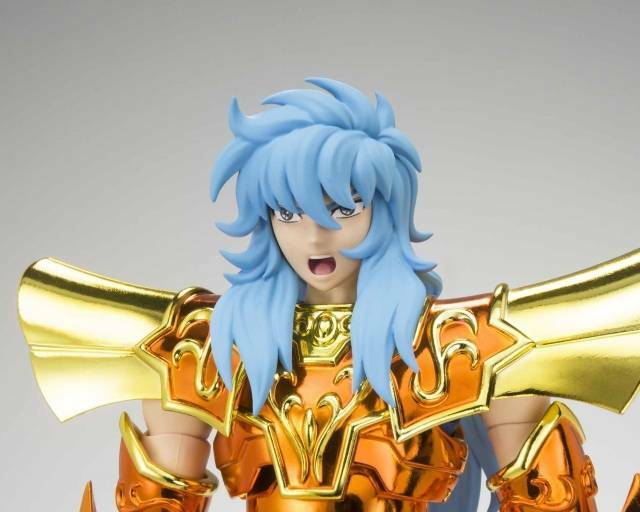 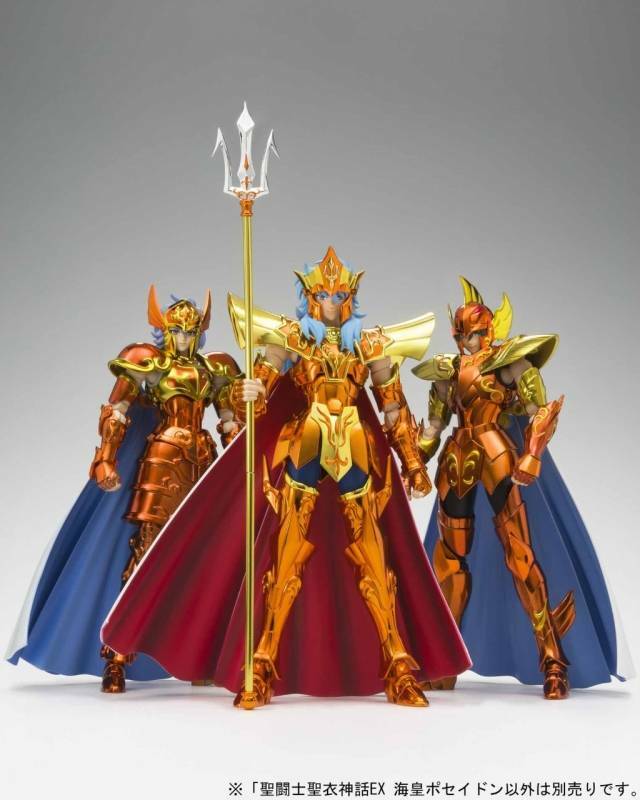 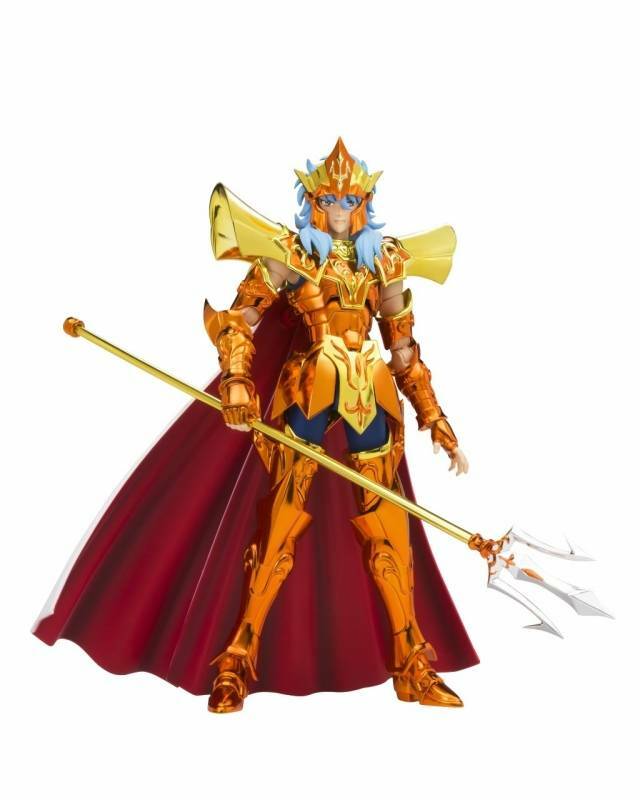 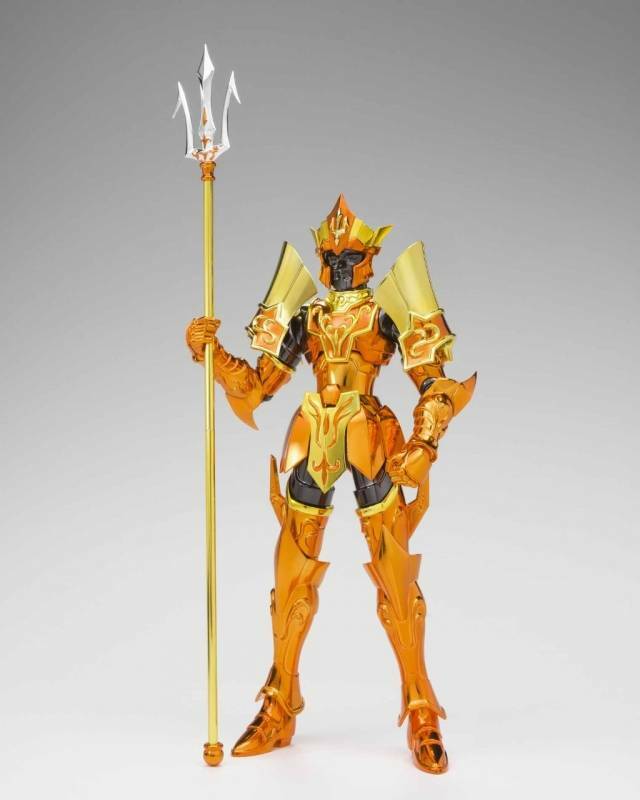 Poseidon Julian Solo, the reincarnation of Poseidon, joins the Saint Cloth Myth EX series! 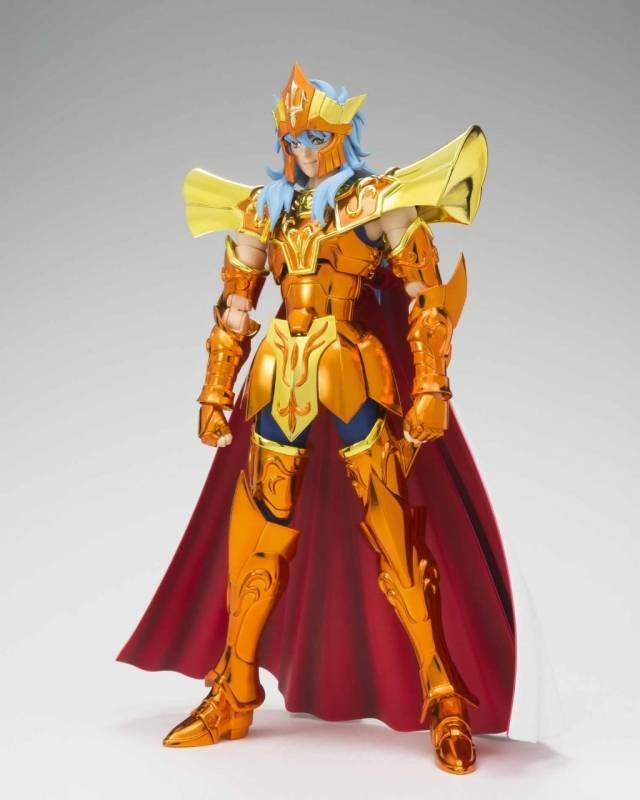 The cape is made out of flexible material to enhance your posing possibilities. 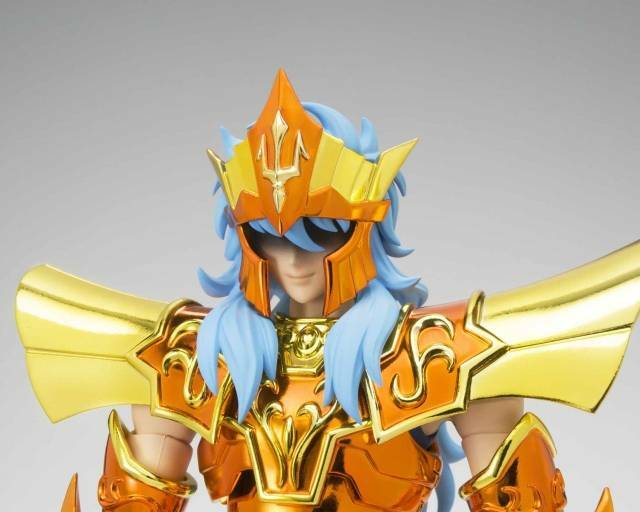 A total of five exchangeable expression parts, plus a hair option, let you replicate key appearances: after awakening as Poseidon, a surprised face, or his face with mask removed. 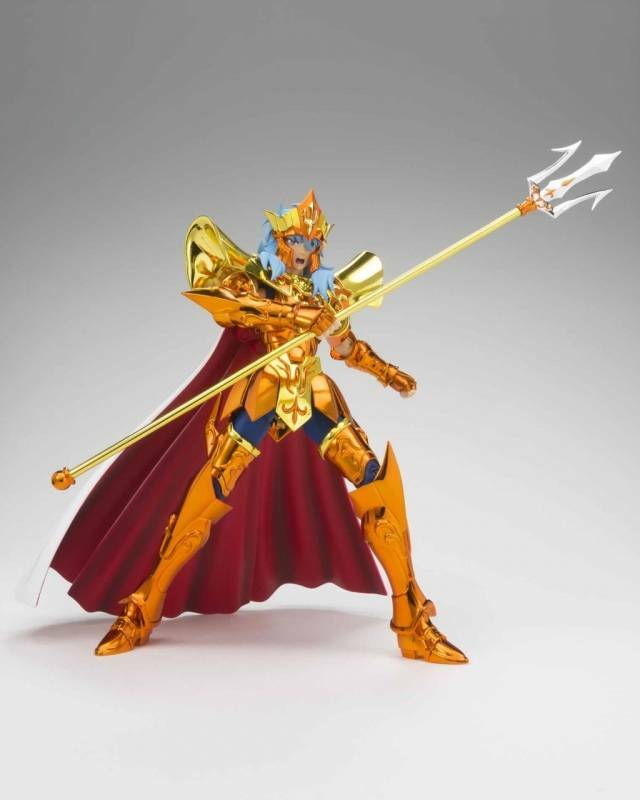 In addition to a full set of armor and the cape, the set also includes five pairs of optional hands, a spear stand, an object mode frame, and parts to replicate the object mode frame as seen in the comics.